The FCC today voted 3-1 along party lines (via The Verge) to classify text messaging as an information service. This gives wireless carriers the ability to block texts that they consider to be unwanted by consumers by blocking robo-texts, and by using anti-spam and anti-spoofing measures. While on its face, this sounds like something good was done on behalf of mobile device users, the lone Democrat on the regulatory agency and other organizations feel differently. Jessica Rosenworcel, the FCC's lone Democrat, believes that text messages should have been classified as a telecommunications service. Calling texts an information service gives carriers the ability to block texts that they deem to be controversial under the guise of blocking unwanted messages. Harold Feld, senior vice president at non-profit public interest group Public Knowledge, said, "It is simply the latest example of Chairman Pai’s radical agenda that puts companies ahead of consumers." 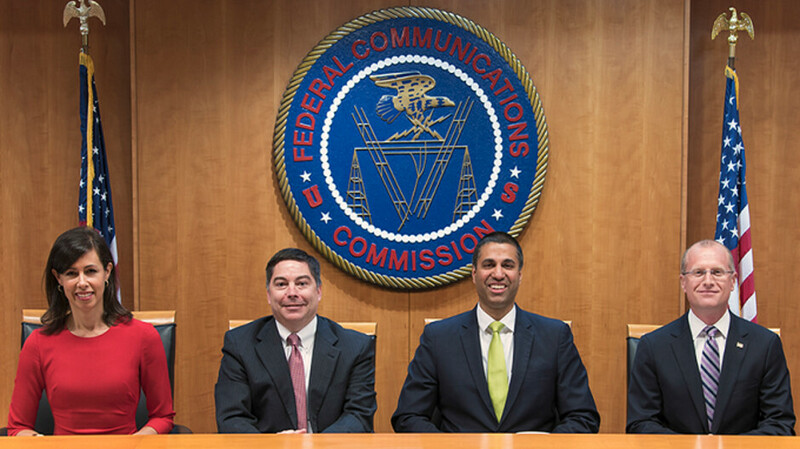 Pai, appointed by president Donald Trump last year, also led the FCC's decision to overturn the net neutrality rules placed on the books during the Obama-era. Repealing net neutrality gives carriers the ability to block streaming content that they don't agree with. The vote today only covers SMS and MMS message. The upcoming new Rich Communication Service (RCS) platform, which was recently enabled by Verizon for the Pixel 3 and Pixel 3 XL, is not included in the FCC's classification of text messaging. If my text message is blocked or not delivered on purpose for any reason - I will sue!!! You want to send another text within 5 minutes, that'll be $5 additional. You want that emoji on your text message, we will hold the message and check the emoji and then get back to you in 5 business days. If you don’t like them blocking your streaming service or text messages, find another platform or make your own. At least, that’s the liberal excuse when tech companies do censoring in their favor. Now they’ll feign outrage when they get what they want. While the doom and gloom of this is similar to the net neutrality pull back, I'm skeptical that companies will go to those lengths. For one thing, if people find out that a provider is using those tactics, people can vote with their wallets and put a big dent in profits. Companies shape up when it affects the bottom line. We'll see though. I could certainly be wrong.